During Nintendo's Treehouse Live stream today at E3, they revealed a new 4 player battle mode called Battle Royale. In it, each player can have up to three Pokemon but only sends out one at a time. The battle is over when one of the players is out of usable Pokemon. 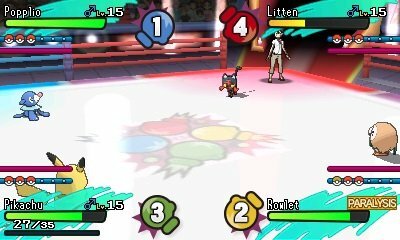 To determine the winner, players are ranked based on how many Pokemon they were able to knockout, and how many Pokemon they have remaining. 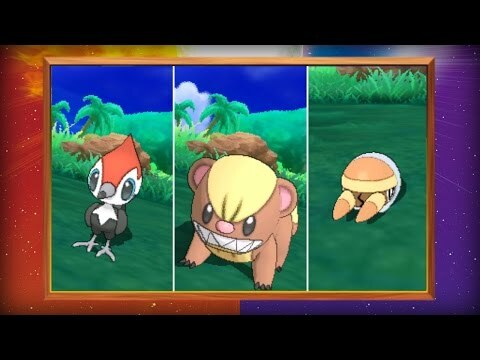 During the same Treehouse event, Nintendo also revealed four new Pokemon. Pikipek: Normal / Flying--Abilities: Keen Eye, Skill Link: It evolves twice. Yungoos: Normal--Abilities: Stakeout, Strong Jaw: It evolves once. Soul Heart, the only new ability among the list, seems to increase Magearna's Special Attack when a Pokemon faints (it's not clear whether or not this is restricted to only allies or if the Pokemon increases its Special Attack when opponents faint as well). Did they mention this in treehouse? I don't recall them saying % of hp was a factor but I may have overlooked it. I usually play it with my cousins. My brother has a collection of all the gaming consoles from the Mario series to Pokemon Sun, Assassin's Creed, FIFA 17 and much more. We mostly play Pokemon Sun which he had bought from a great site recommended him from his fellow gamer friends. He Acheter Pokemon Soleil at a quiet at low and discounted price. My personal favorite is Pokemon sun and FIFA 17.